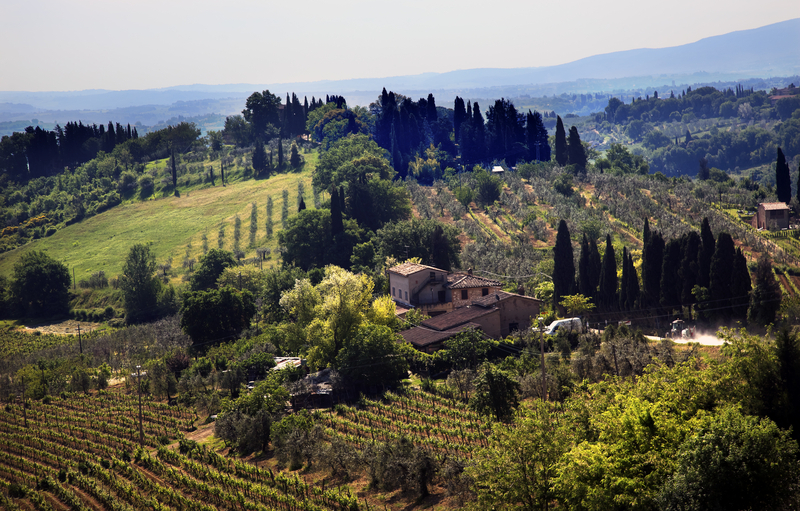 The Chianti region of Italy is renowned for its many vineyards and stately cypress trees scattered throughout the countryside, the silvery green of the olive groves and some of the most magnificent medieval architecture still in existence. It is a picturesque area that has captivated visitors from around the world. Nestled atop one of the numerous hills throughout this region of the Tuscany is the walled medieval village of San Gimignano, best known for its many beautiful towers dating as far back as the 11th century. San Gimignano served as the central reference point for merchants, pilgrims and travelers as they made their way along the Via Francigena when traveling between England and Rome during medieval times. 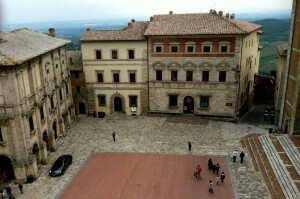 This location was a large factor in the immense prosperity enjoyed by merchants of the era in San Gimignano. Located just 60 kilometers to the southwest of the beautiful city of Florence, San Gimignano is a wonderful addition to a holiday itinerary. There are a number of tour operators that offer day trips through the region and provide knowledgeable commentary of the area. 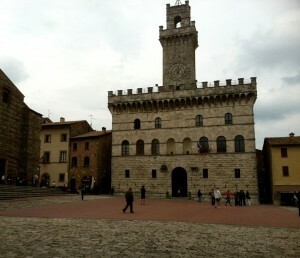 Most tours visiting San Gimignano require around 8 to 9 hours and offer the convenience of allowing guests to enjoy the sights without the worry of getting lost. As travelers make their way through this lovely region of Italy they are rewarded with spectacular scenery, adding to the anticipation of wandering through the narrow lanes and magnificent examples of medieval architecture awaiting them. When the unique San Gimignano skyline comes into view it is breathtaking, punctuated by the 14 remaining medieval towers that once symbolized the affluence of their owners. The backdrop of rolling green hills creates a wonderful contrast to the red and gray brick used in the construction of the city. Once arriving in San Gimignano there are many wonderful sights that beg to be explored starting with the city walls that once served to protect the inhabitants from invaders including the unsuccessful invasion by the infamous Attilla the Hun. Some of the most significant monuments within the city are found in or near the city center. The magnificent San Gimignano Cathedral or Collegiata, located on the Piazza del Duomo, hides its best characteristics within its rather understated exterior. Upon crossing the threshold of this grand cathedral visitors are greeted by stunning 14th century frescoes and many works of art from the Italian renaissance period. 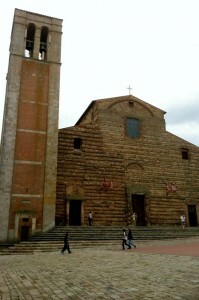 The Chiesa di Sant’Agostino is another beautiful cathedral in San Gimignano. Constructed in the 13th century, again the exterior belies the exquisite interior, with a series of amazing frescoes throughout. Its most notable attraction is a fresco painted by Benozzo Gozzoli that is located in the apse. 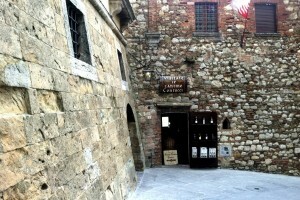 There are several museums in San Gimignano as well including the Archaeological Museum, the Wine Museum and the Museum of Torture and Medieval Crime. For those visiting in mid-June, a real treat awaits with the annual Medieval Festival or Ferie delle Messi. Jousting, acrobats, jugglers and much more provide an authentic Medieval experience for the entire family.